While most cosmopolitan Asian cities experiment with ultra modern architectural design, Kyoto stays true to its traditional past and aesthetic, especially since restrictions kept Kyoto from becoming just another large Japanese metropolis. It’s no wonder that Kyoto was voted number one ‘Best city in the World’ in 2015 by Travel & Leisure unanimously by the magazine’s readers. 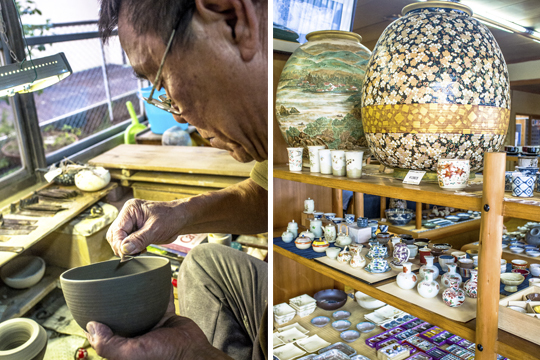 Kyoto was not bombed during World War II, so much more of the old city remains as it was since several centuries. 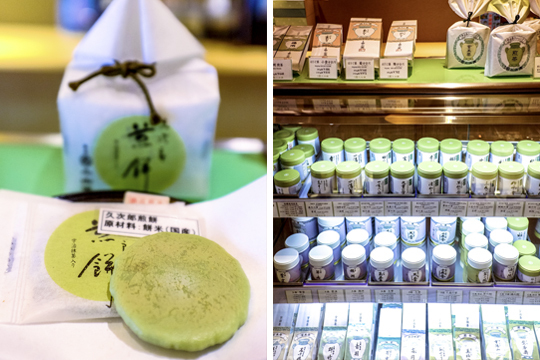 Kyoto is home to hundreds of temples and first-time visitors should guard against temple ‘burnout’ by taking the best in small doses and frequently rest in lovely traditional tea shops. No visits are completed before trying the traditional onsen (Japanese style bath and sauna) and eating a full kaiseki course at a ryokan. 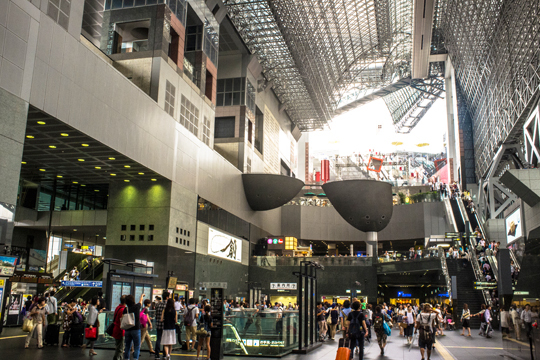 After arriving at Osaka KIX airport, you can travel by train to the futuristic Kyoto Station, which has the feeling of a set for 2001: A Space Odyssey. The top is reached by ascending its Stairway to Heaven escalators. Rent a bicycle to start your visit from one of the numerous rental stations available around the huge Isetan building or next to Kyoto Tower. Bicycling around town is the best way to enjoy every little traditional streets and get to discover hidden treasures that are usually not on tourist maps. 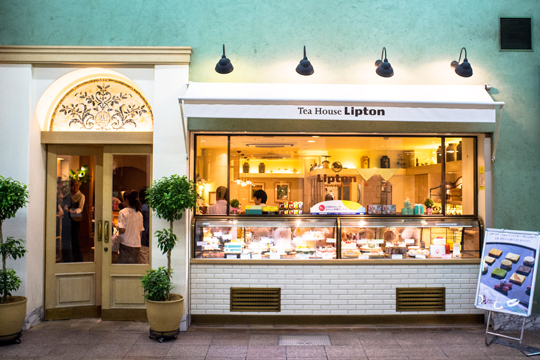 Lovely wooden traditional shops, houses and tea shops were a reminiscence of scenes out of the Memoirs of a Geisha novel. 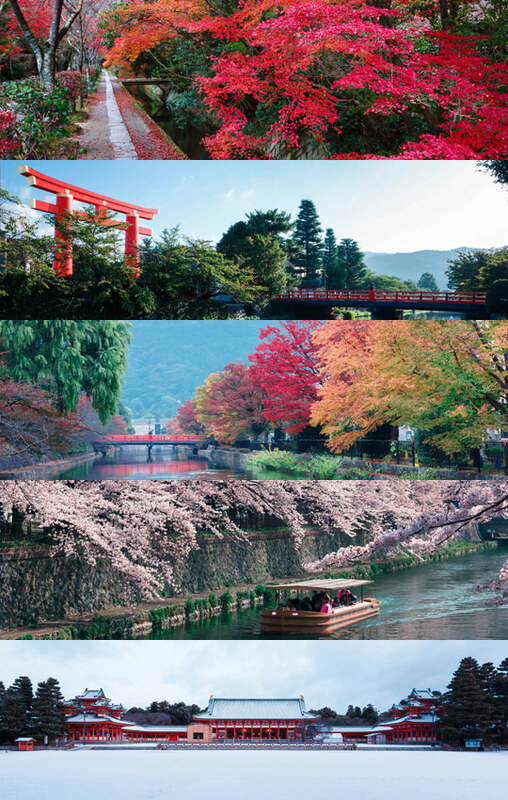 Don’t forget to pick a free copy of Explorer Kyoto, a useful map and guide of the best each city (Osaka & Kyoto) has to offer. 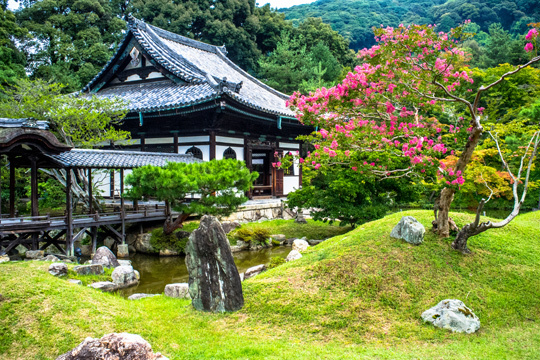 Start your first day by visiting some near-by temples: Heian Jinja and Yasaka Jinja. 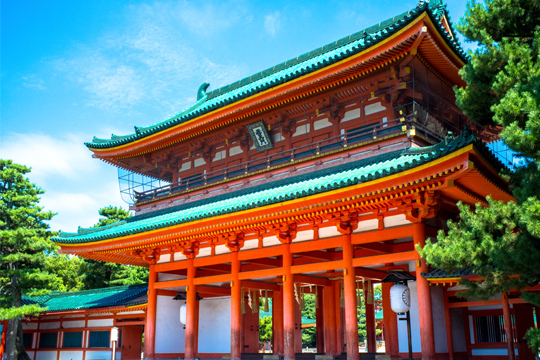 Heian Shrine is a big temple near the Kyoto Modern Art Museum and Kyoto National Art Museum. The whole environment at Heian Shrine is very zen; empty spaces all covered with stones. The very nice garden, Shin-en Garden (entrance Fee: 600 Yen) displays two ponds with lilies and plants and a pavilion where you can just sit down and unwind from long walks. Newly weds love to go there for their photo shoots. 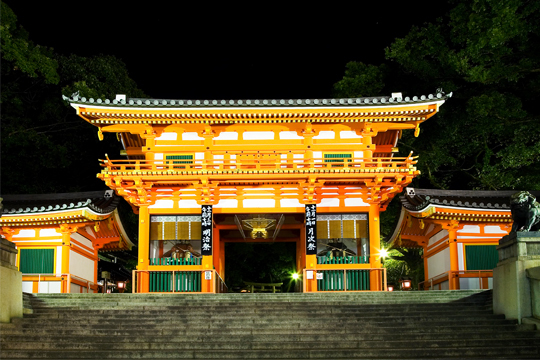 The next stop is at Yasaka Temple, a Shinto shrine in the Gion District of Kyoto. Situated at the east end of Shijō-dōri (Fourth Avenue), it was built originally in 656. The shrine includes several buildings, including gates, a main hall and a stage. 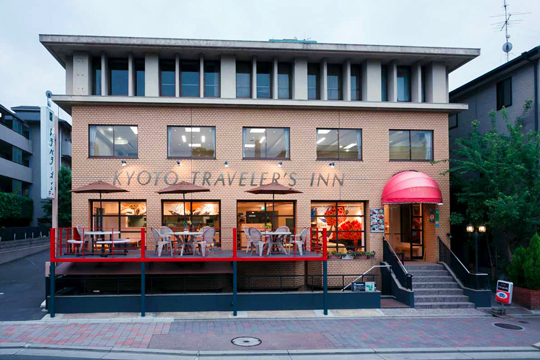 After a long day of temple visits, back at the Kyoto Traveler’s Inn hotel, rest your tired feet and immerge yourself into a Japanese tradition at their public baths which opens until midnight. You can get fresh Japanese beers from their vending machines in the hallways (change is available at the front desk). On your second day, as an alternative to Japanese breakfast, try Kyoto Traveler’s Inn’s Western breakfast or a refreshing cold soup like gaspacho or hot midly spicy Okra and Prawn Thai Soup with Nampler (ask for the seasonal soup of the day). 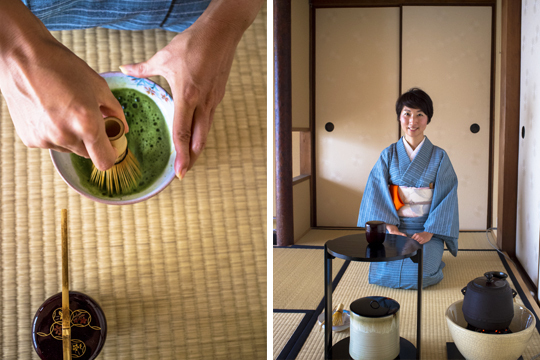 A great way to start the day and to learn more about Japanese ancient cultures, is to immerge yourself with unique experiences offered by KAFU – Wa Experience. One of them, coming highly recommended is KADO or Ikebana, ‘the way of flowers’ with expert Kimiko Yamamoto who was taught in the tradition of Moribana style under her Japanese Master. A tradition dating back to 600 years, she explained the intricated relations between human and nature, the philosophy behind every ‘empty spaces’ and the careful selection of each flower stem. She transports you back in time with her passion of Kado, from Tatebana style (standing flower) to Rikka style (16th century Kyoto), Seika style of the Edo period (18th century) then the Nageire style (Toss-in or Throw-in) to actual 20th century Moribana style which has thirty-eight recognized schools registered at the Kyoto Ikebana Association. Through her words, you will feel touched and be able to understand the ‘temporary beauty of nature’ while grasping the foundamental rules of Ikebana display. 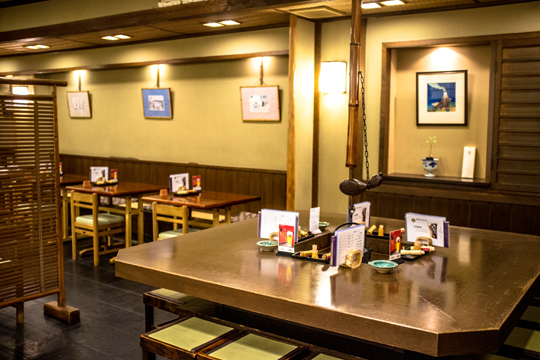 Time for dinner at a neighbourhood restaurant, Chikurin offers informal seating at the bar counter only. 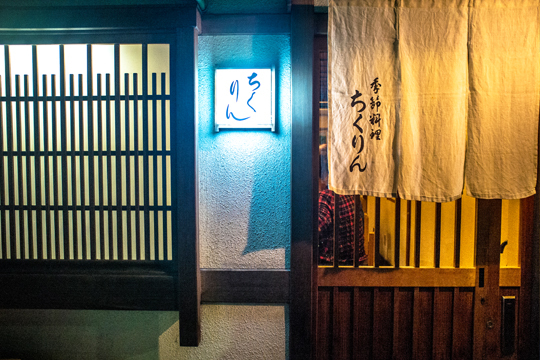 Traditional Kyoto style ‘obanzai’ home-style dishes can be ordered along with draft beers (Ebisu is the norm) or with a selection of locally made sake. 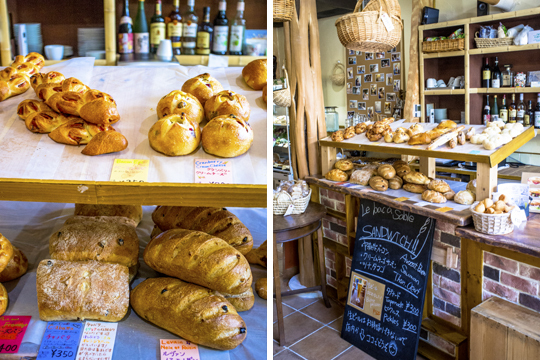 Be prepared to do some shopping at the long shopping arcade known as “Kyoto Kitchen” or Nichiki Ichiba. Nishiki Market is a five blocks long shopping street lined by more than hundreds shops and restaurants. 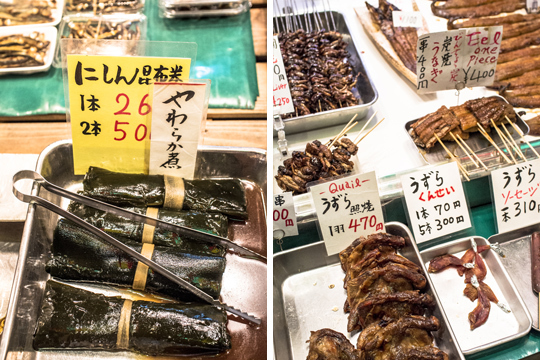 The lively retail market specializes primarily in all things food related, like fresh seafood, produce, knives and cookware, and is a great place to find seasonal foods and specialties, such as Japanese sweets, localy made pickles, dried seafood and Kobe beef. 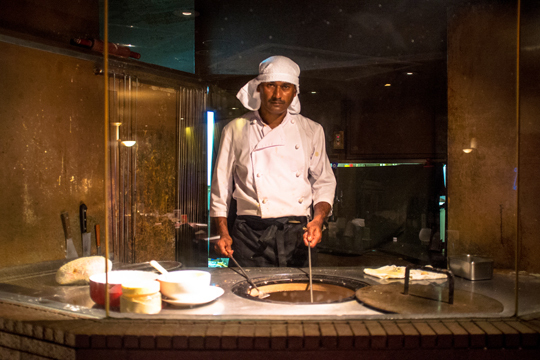 Most specialize in a particular type of food and freely give out samples or sell sample dishes and skewers meant to be eaten then and there. The market has a history of several centuries, and many stores have been operated by the same families for generations. It all started as a fish wholesale district, with the first shop opening around 1310. A larger variety of shops moved in later, and the area changed from a wholesale market to retail. 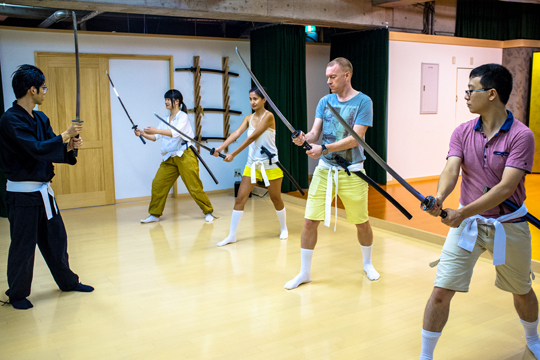 Kyoto offers an immersion into the life of Japanese and the way they lived hundred years ago, while offering activities for all type of budgets and travellers’ tastes. Endless discoveries and experiences can be had in this magical city where not-too-long ago, geishas and samurais lived in peaceful harmony. TripAdvisor mengumumkan hotel terbaik menurut ulasan dan opini wisatawan dunia untuk tahun 2018 dalam penghargaan The Travelers' Choice 2018.